It looks like Russian Su-24s flew over US warship in Black Sea. Again. 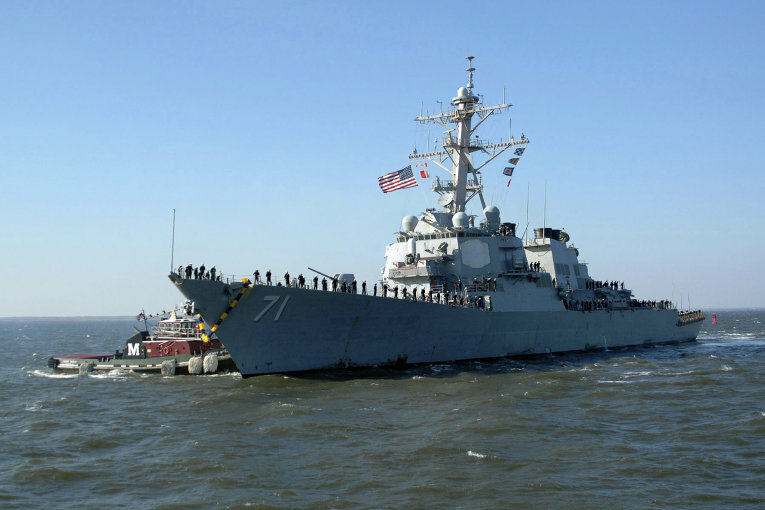 According to several Russian media outlets, Russian Navy Su-24 Fencer jets “forced” a U.S. Navy destroyer to head towards neutral waters after it was noticed by Russian Black Sea monitoring stations heading into Russia’s territorial waters. Reportedly, the U.S. Navy destroyer USS Ross was heading directly towards Russian waters after leaving the Romanian port of Costanta. Russian Su-24s were scrambled towards the warship. After the close encounter with the Su-24 jets, the destroyer “then turned around and left for neutral waters,” says RT, suggesting an unlikely violation of the Russian territorial waters by the U.S. warship. “It seems that the Americans did not forget the April 2014 incident when one Su-24 actually shut down all equipment on the new USS Donald Cook American destroyer with anti-missile system elements,” an unnamed source said to Sputnik News. Following the incident, speculations (fueled by propaganda) reported that the Su-24 jammed all the systems aboard USS Cook to such an extent all the onboard screens went black and 27 officers resigned as a consequence of the attack: a quite unbelievable and unlikely story. Anyway, Russian Su-30s and Su-24s aircraft from Russia’s Black Sea Fleet launched from Novofedorvka, an airbase captured on Mar. 22, 2014, in western Crimea peninsula 70 kilometres north of Sevastopol, have conducted attack runs on NATO warships operating in the Black Sea recently.